A few years ago I experienced something horrible that made me re-think how I treated my body. It made such an impact on me that I made a promise to myself to always put my health first – no matter what. But it’s easier said than done. When the workload and stress gets to you, it’s way too tempting to push self-care to the end of your to-do list. 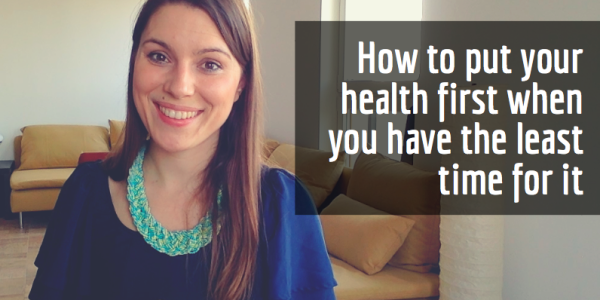 So what to do when you have the least time to take care of your health? Here is what I do. I hope you find these ideas inspiring and will try them as well.